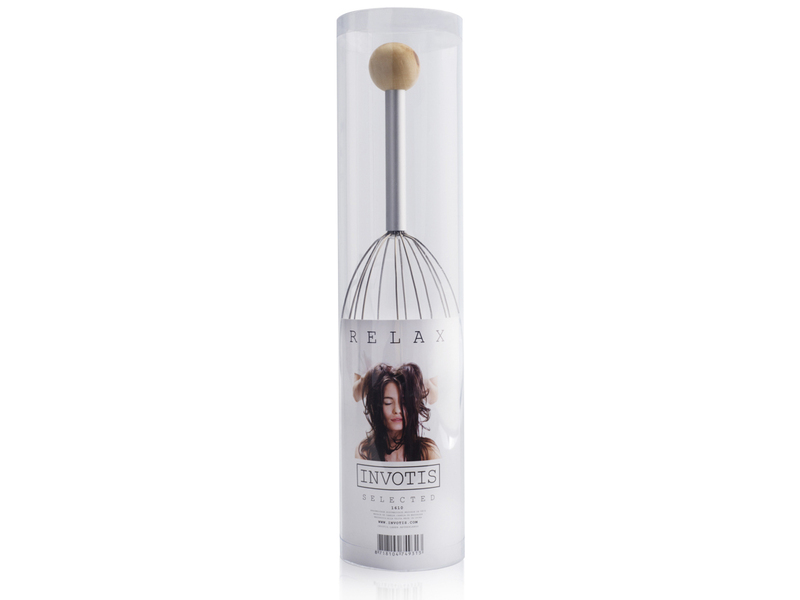 Relax body and soul with The Head Massager! 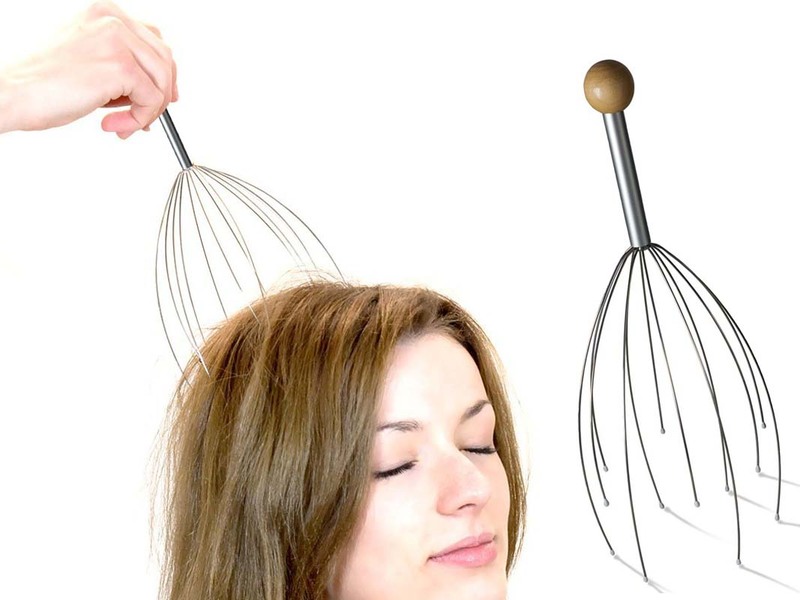 This head massager seems like a simple piece of equipment. However, it is a well thought-out piece of kit. 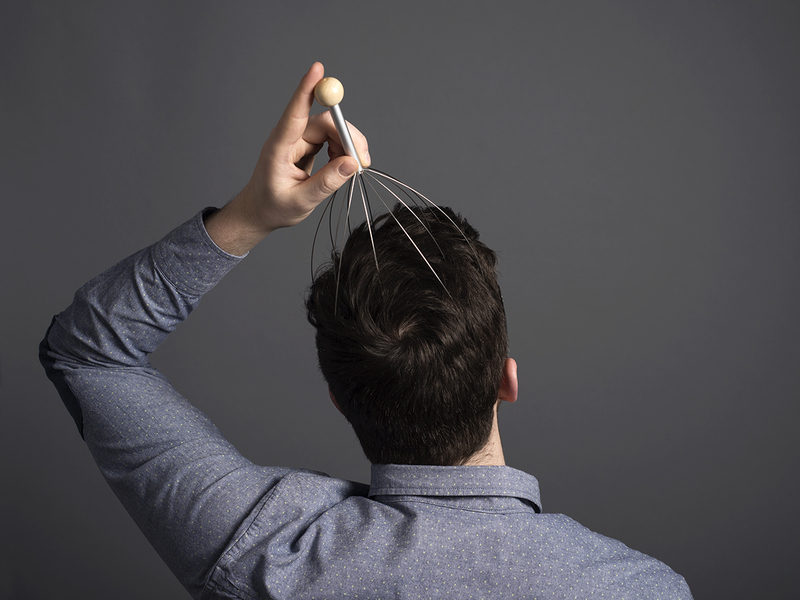 The massager functions as a conductor which connects your body's electric fields. This massager was originally developed in Australia by the Aboriginals. They used it for total relaxation and as a sexual stimulant. The massager has developed from a twig to tickle each other on the head to a therapeutic item. A pleasure rake which will find numerous pressure points on your head without you needing a scrap of experience. This massager is also known as a massage spider. 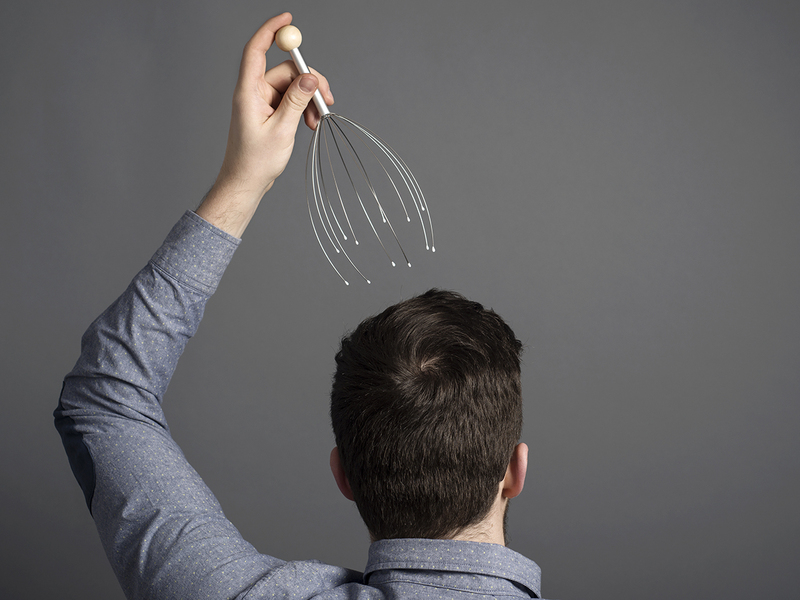 How do I use the scalp massager? Long hair should be loose so that contact can be made with the scalp. 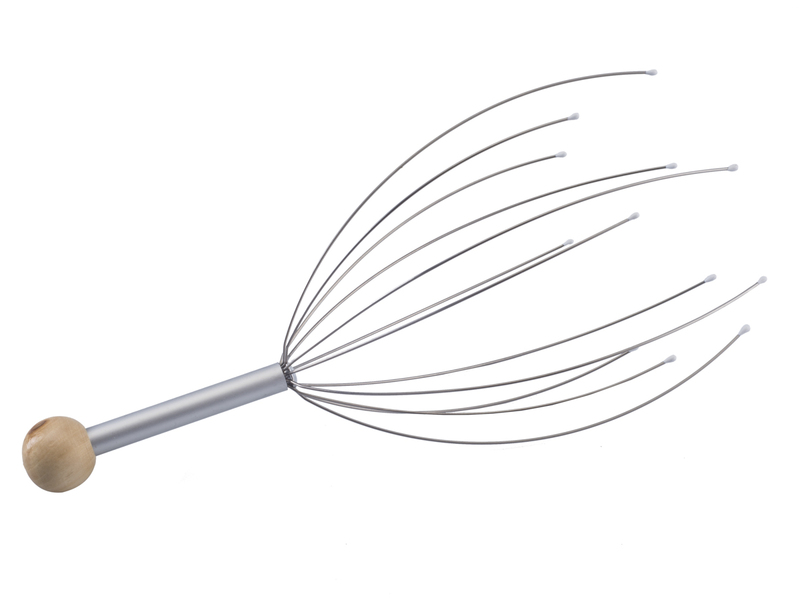 Place the Scalp Massager on the crown of the head and press the tentacles so they slowly fit around the head. Make a slow up and down movement whilst making slow circling motions. 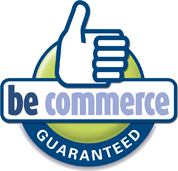 This slow movement will have an amazing result... unlike anything you've ever experienced before. The sensation is intense, and you will get goosebumps and tingles all over your body from the crown of your head through the spinet of your feet. 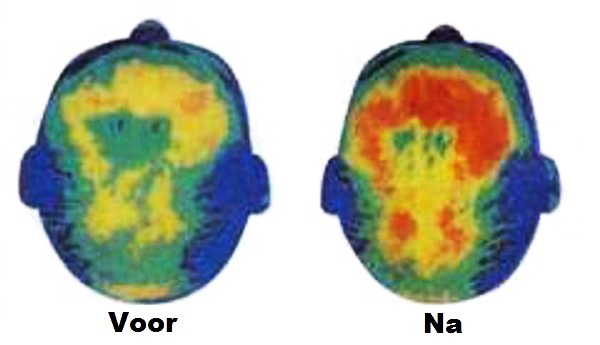 You will feel fully relaxed. You will feel relaxed! It is an anti-stress massager and will immediately bring a smile to your face!